Freshwater locals are diving head first into their newest beachside café, Little Collins. Beachside suburbs lend themselves only too perfectly to that quintessential café culture. Where thongs are the preferred footwear and locals are bronzed and beautified, everything feels more relaxed. A good café feeds into this leisurely lifestyle. It lets you the paper, bring along your pooch and while away the hours on a Saturday morning. Andrew Harrington, owner of the recently opened Little Collins café, was clever setting up his latest venture right in the thick of Freshwater. This isn’t Harrington’s first rodeo however, also owning eateries Bloom in Mosman and Outpost Espresso in Collaroy. 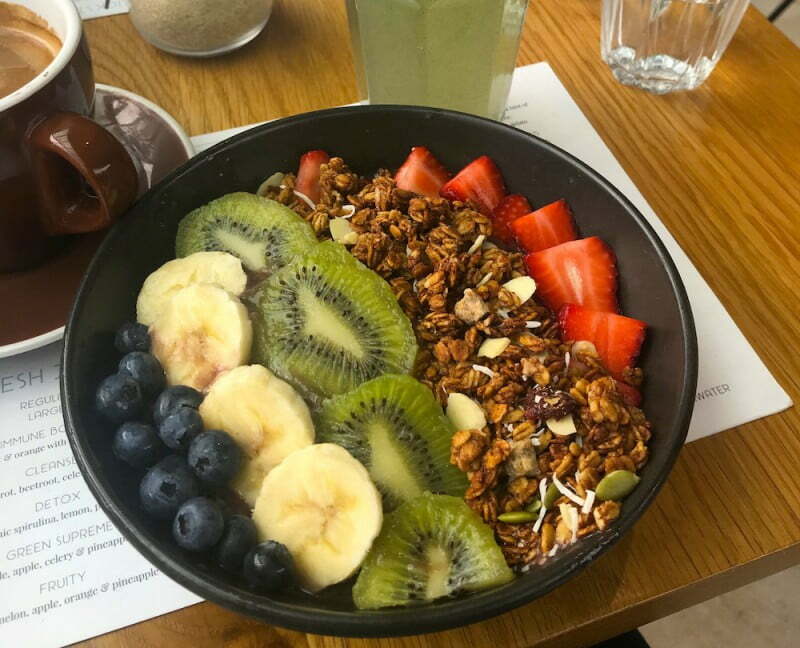 With Acai bowls on almost every trendy Sydney café menu these days, you won’t be too shocked to find it here at Little Collins. Emitting a visual beauty with its delicate arrangement of sliced bananas, kiwi fruit, blueberries and granola, it’s only too tempting to glide your spoon across the surface. Thankfully, this one isn’t too sweet, the use of coconut water in the Acai base injecting a natural sweetness that doesn’t overpower the other elements at play. Spice fanatics should dabble in the chef’s personal favourite, the chilli eggs ($16). 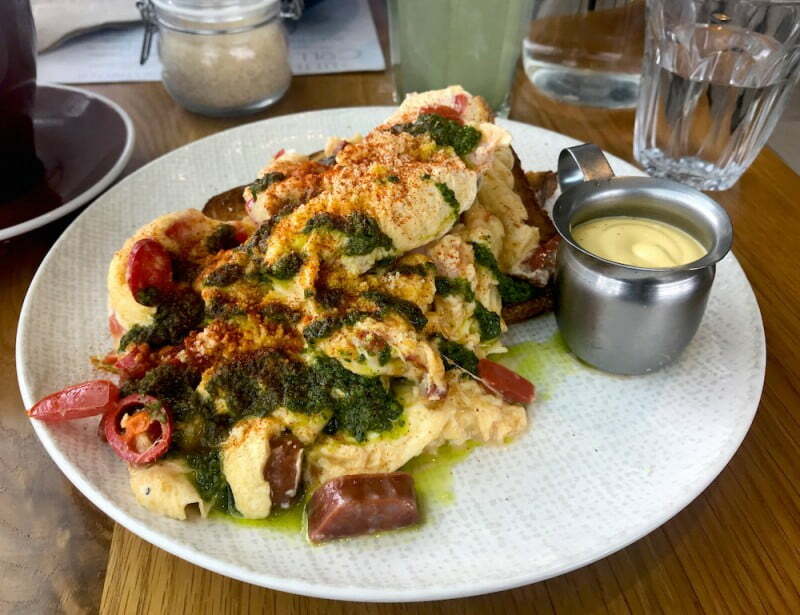 Not for the faint hearted, a generous mound of scrambled eggs laced with double smoked ham, hunks of chorizo and sliced chilli offers a flavour kick. Rather, an explosion. A drizzling of hollandaise sauce over your eggs means you can say goodbye to that beach body with each mouthful, but who really cares when a dish tastes this good? With you tongue alight, a freshly made juice ($7 regular, $8 large) will cleanse the mouth and offer a well needed sweet kick. If you’re looking to up the decadence ante, cool off with either an iced coffee ($7.50) or perhaps a milkshake ($7.50). Other sweet delights on the menu include their signature golden hotcakes ($17). 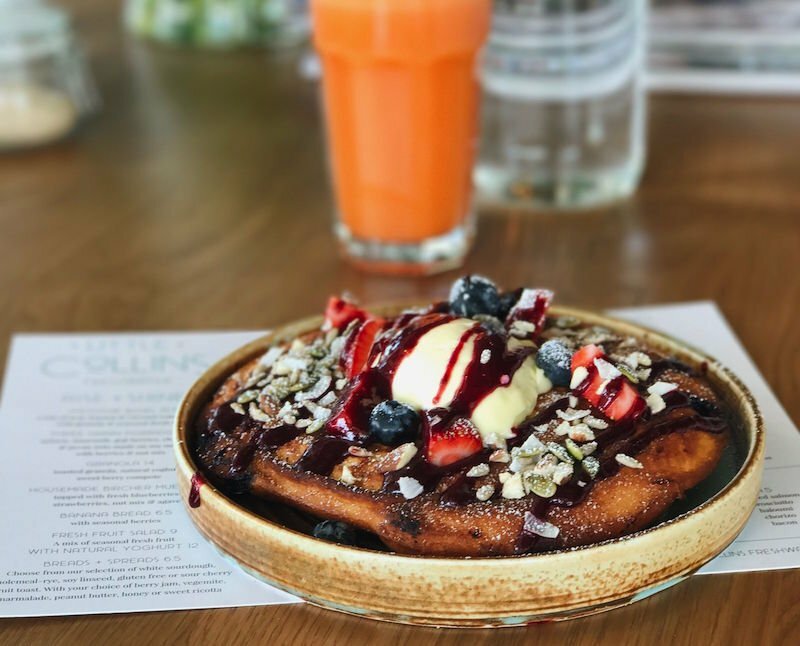 Caramelised with maple syrup and served with berry compote and seasonal fruit, these hotcakes will have Instagram fanatics reeling with excitement, smartphones at the ready to capture this picture perfect creation. 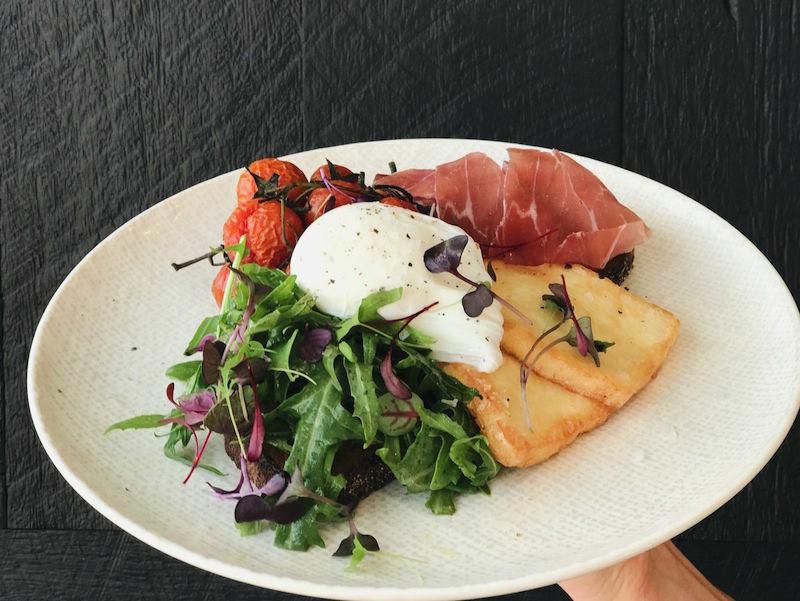 An all day brunch menu at Little Collins lends itself to lazy weekend mornings, whilst coffee fanatics will relish the sight of Campos coffee running through the glitzy new coffee machine. For those ‘feeling hungry’, Little Collins offers a more substantial lunch menu from 11am, with everything from burgers to lamb ragu. Will Little Collins sink or swim? We see this latest addition to Freshwater as a delightful one at that. All signs towards a buoyant future for Harrington and his team look promising.